The Department of Health is encouraging parents with children age five and below to go to the nearest health center from September 1-30. There will be a free vaccine for Measles and Polio (Tigdas at Polio). Although my 20-month-old child already has the 6-in-1 vaccine, I still ask the doctor and her pedia about this. Is there a danger in receiving repeated doses of the vaccines on Measles and Polio? This are the questions that I asked from them and they answered receiving repeated doses of the vaccines do not pose any danger to your child. With this DOH measles campaign, all 3 vaccinations are safe, effective and FREE! Regardless of immunization status, we must bring our child to the nearest health centers to receive this important vaccine for our kids. What should your child gets with this DOH Measles and Polio vaccine campaign? If you have a child below five years old, bring then now to the health centers. 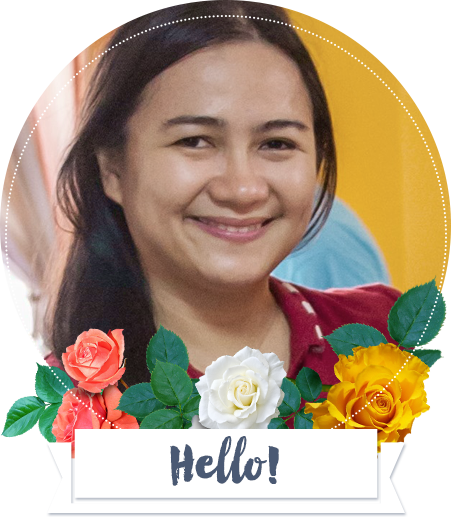 It is better early and let us be aware of the #TigdasLigtas campaign of the department of health for our child’s safety and health. 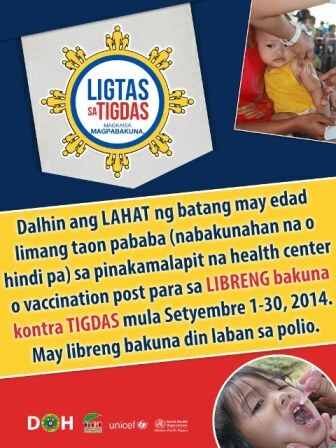 Filed Under: Baby Care, Child Care Tagged With: #LigtasTigdas, DOH Measles Campaign 2014, Is there a danger in receiving repeated doses of the vaccines on Measles and Polio?, What should your child gets with this DOH Measles and Polio vaccine campaign?